Looking for the best kept secrets in Glens Falls NY? Explore the hidden gems of Glens Falls NY. From parks to dining spots, let us fill you in on what's great in Glens Falls. Recreation Galore! Take a walk through Crandall Park or a run though Coles Woods. Both are free spots for cross country skiing all winter as well..Like to bike? 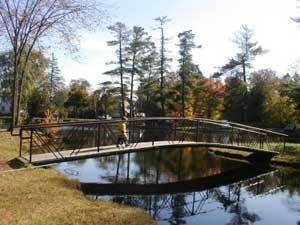 You can take the Warren County Bike trail from Glens Falls all the way to Lake George. The Glens Falls YMCA offers hundreds of fitness programs, summer camps and sports leagues to keep you active. 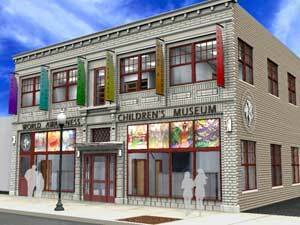 Where to go in Glens Falls NY with kids: Glens Falls offers many activities for kids! Children love the playground at Hovey Pond Park. It's also a great spot to feed the ducks and admire nature. Besides the abundance of area parks, all five Glens Falls NY elementary schools in Glens Falls NY have its own playground for surrounding neighboorhoods to enjoy. Take a tour of the World Awareness Children's museum to appreciate culture from around the world or visit The Hyde Collection for fabulous artwork. Glens Falls NY attractions for anyone: Many love watching concerts & hockey games at the Glens Falls Civic Center but you can also go to a public skating session, join a hockey league or learn to skate with the Glens Falls Figure Skating Club. Popular events like the most well-known Adirondack Balloon Festival each September, frequently occur to bring the community together. Dine at the best: You can't beat in-house brewed beer at Davidson Brothers Restaurant & Brewery or Cooper's Cave Pub. With many other downtown Glens Falls restaurants within walking distance, you'll have several to choose from. For a quick lunch try New Way Lunch, a timeless hot-dog venue in Glens Falls NY, also referred to as Dirty Johns. Don't forget to take advantage of fresh & local produce at the Glens Falls Farmer's Market to make a meal at home.